I’ve heard Sheila Walsh speak numerous times at Women of Faith conferences. She’s a gifted speaker, singer and writer. 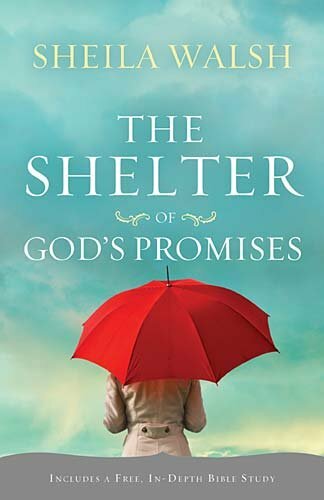 Shelter of God’s Promises is her latest effort from Thomas Nelson Publishers. The introduction was tough to get through but Walsh does a nice job using Scripture and interweaving personal stories to discuss these 10 promises from God. She’s a very honest writer, very easy to identify with. I feel the need to point out that I’m not much of a devotional person so when reviewing one, I feel I’m not doing the book justice. That being said, Shelter of God’s Promises is a solid book and would be a great resource for a Bible study either on your own or with a group. I received this book for free as part of Thomas Nelson Publisher’s Book Sneeze program in exchange for a book review. I was not required to write a positive review.